Yesterday, the Pennsylvania Gaming Control Board granted Rutter’s truck stop with conditional approval for video gambling terminals (VGTs) to be situated in 20 of the company’s stores across the state. 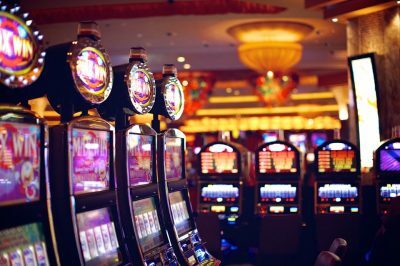 As previously reported by CasinoGamesPro, Rutter’s has filed an application for up to five video gambling machines at its truck stops in Pennsylvania, as allowed by the provisions of the 2017 gambling expansion law. However, the conditional licenses given to Rutter’s, however, do not equal a final approval of its application for the addition of VGTs. As explained by officials of the Pennsylvania Gaming Control Board, the approval granted to the company on February 6th is related only to background probes aimed at checking whether the business is in line with the state’s tax requirements and whether there have been any prior records of the company violating Pennsylvania gambling laws. In order for the process to be completed, Rutter’s is to become subject to on-site investigations aimed at checking whether its stores meet the requirements of state gambling legislation. Currently, the gambling law of the state requires from premises hosting video gambling terminals to be situated on a land of minimum three acres, to have reported average truck store sales of 50,000 gallons of diesel fuel on a monthly basis, and to feature at least 20 designated parking spaces for trucks and tractor-trailers. Chairman David Barasch highlighted the fact that the vote which took place on February 6th was not related to any of the above-mentioned requirements. Despite granting conditional approval of the company’s application for VGTs, the spokesman of the Pennsylvania Gaming Control Board Doug Harbach was unable to provide a timeline on the on-site checks of the potential gambling locations of the truck stop brand will be finalized. The applications filed by Rutter’s truck stop for permission to operate up to five video gambling machines at its locations across the state have attracted much public attention and scrutiny, as it has been the first major convenience store chain in Pennsylvania to try set foot in the commercial gambling sector. Unfortunately for Rutter’s, its ambitions faced some opposition in a number of communities where voters are not willing to see permission for further gambling expansion. At the end of 2018, some Strasburg Borough officials opposed gambling at local convenience stores. 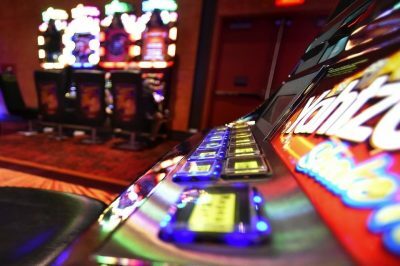 At the time, PGCB revealed that five truck stops in the Lancaster County had filed applications for adding video gambling terminals, with the new form of gambling expected to be officially established early in 2019. For the time being, Rutter’s owns and operates 70 convenience stores situated in Pennsylvania, West Virginia and Maryland. According to information provided by PGCB, Rutter’s truck stop has applied for adding the machines at 20 of its convenience stores, including the ones situated in Strasburg, West Hempfield Township and Leola.